Introduction. The development of the design model of a thrust sliding bearing with a two-layer porous coating on the way surface running on an electrically conductive lubricant is described. The work objectives are the development and computational justification of the possible increase in oil consumption, growth of the bearing capacity, and reduction of the frictional force, due to their design models refinement. This is based on the formation of the computed hydrodynamic models of thrust bearings taking into account the dependence of the porous layers permeability on the way surface under the steady flow of the electroconductive liquid lubricant. Materials and Methods. New mathematical models that describe a steady flow of the electrically conductive lubricant in the working gap between an inclined slider and a guide with a bilayered porous coating are proposed. The given numerical analysis of the essential performance features has shown that bearings with a two-layer porous coating on the way surface significantly increase the damping characteristics of the supports and bearing capacity of the bearing, and reduce the frictional force. Research Results. A design model of the thrust sliding bearing is formed taking into account the porous coating permeability on the way surface. That is based on the equations of the steady flow of the electrically conductive incompressible liquid lubricant for a “thin layer” in the working gap, continuity and Darcy in the presence of an electromagnetic field. The authors have found the exact self-similar solution to a thrust bearing with a two-layer porous coating on the way surface for the field of velocities and pressures in the lubricating layer and porous coating. Besides, multiparameter expressions for the essential bearing performance with the account for the availability of electromagnetic fields, the permeability of porous layers, and the ratio of the thicknesses of porous layers, are specified. Discussion and Conclusions. The received updated calculation models have made it possible to determine the effect of a number of additional factors, as well as to perform a comparative analysis of the newly obtained results and those already available which confirms the close approximation of the new model to the actual practice. The theoretical models provide the necessary engineering design calculations in a sufficiently wide range of speeds and loads for the application in engineering, aircraft building, instrument making, etc. 1. Лагунова, Е. О. Нелинейные эффекты воздействия электропроводящей смазки на шип подшипника, обладающего демпфирующими свойствами / Е. О. Лагунова, А. Н. Гармонина, Е. А. Копотун // Сборка в машиностроении и приборостроении. - 2016. - № 3. - С. 40-46. 2. Гармонина, А. Н. Расчетная модель электропроводящей смазки радиального подшипника с демпфирующими свойствами при наличии электромагнитных полей / А. Н. Гармонина // Вестник РГУПС. - 2015. - № 3. - С. 121-127. 3. Akhverdiev, K.S. Radial bearing with porous barrel / K.S. 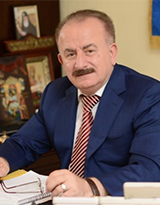 Akhverdiev, M.A. Mukutadze, A.M. Mukutadze // Proceedings of Academic World : International Conference, 28th of March, 2016, San Francisco, USA. - IRAG Research Forum : Institute of Research and Journals, 2016. - P. 28-31. 4. Разработка расчетной модели радиального подшипника с учетом зависимости проницаемости, электропроводности и вязкости жидкого смазочного материала от давления / К. С. Ахвердиев, М. А. Мукутадзе, И. А. Колобов, А. Н. Гармонина // Науковедение. - 2016. - Т.8, № 6. - С.1-18. 5. Mukutadze, A.M. Coefficient of a rolling motion bearing drive / A.M. Mukutadze // Procedia Engineering. - 2016. - No. 150. - P. 547-558. 6. Akhverdiev, K.S. Damper with porous anisotropic ring / K.S. Akhverdiev, A.M. Mukutadze // Mechanical Engineering Research. - 2016. - Vol. 6, No. 2. - P. 1-10. 7. Akhverdiev, K.S. Research of Drive Factor of Damper with Doble-Layer Porous Ringwith Compound Feed of Lubricant Material / K.S. Akhverdiev, A.M. Mukutadze // International Journal of Engineering Research. - 2017. - No. 1 - P. 76-85. 8. Mukutadze, M.A. Radial bearings with Porous Elements / M. A. Mukutadze // Procedia Engineering. - 2016. - No. 150. - P. 559-570. 9. Демпфер с пористым элементом для подшипниковых опор / К.С. Ахвердиев, А.М. Мукутадзе, Н.С. Задорожная, Б.М. Флек // Трение и износ. - 2016. - Т. 37, № 4. - С. 502-509. 10. Расчетная модель составного цилиндрического подшипника, работающего в устойчивом режиме, при неполном заполнении смазочным материалом зазора / К. С. Ахвердиев, Н. С. Задорожная, А. М. Мукутадзе, Б. М. Флек // Проблемы машиностроения и надежности машин. - 2016. - № 3. - С. 64-69.